Rebecca Lowell Edwards, who spent the last 18 months with the International Olympic Committee, has joined Schneider Electric as the company’s first global communications leader. In the new job Edwards will initially focus on expanding Paris-based Schneider’s communications function, with an emphasis on building worldwide visibility of the energy management giant and its executives. She also plans to expand the division with new hires. She will remain in Switzerland untIl next summer to see her children through the school year, and will then relocate to her home state, Massachusetts. The ability to move closer to her mother, who is battling cancer, was a key factor behind Edwards leaving the IOC. 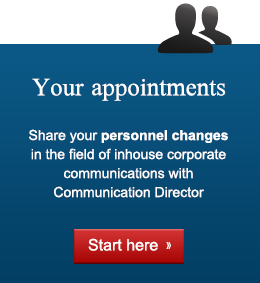 While serving as the IOC's strategic communications director, Edwards worked on the creation and implementation of a new communications strategy. Before that, she held several leadership positions with GE. Edwards' hiring is the latest step in Schneider’s recent effort to make public relations a priority, implementing systems to measure its impact on business. The company's extensive global web of internal and external PR providers has included up to 47 agencies. With the company approaching its 200th birthday, Schneider is attempting to further its transformation from a supplier of traditional products like switches and relays to a tech-centered provider of energy-efficient smart power systems. In November, the company hired H+K Strategies to drive its global PR strategy, while Text100 handles Schneider’s business in the US. Schneider Electric SE is a French multinational corporation that specializes in energy management, automation solutions, spanning hardware, software, and services. Native of France, the company is headquartered in Rueil-Malmaison and is also based at the World Trade Center of Grenoble with offices throughout the world. It is a Fortune Global 500 company, publicly traded on the Euronext Exchange, and is a component of the Euro Stoxx 50 stock market index. In FY2016, the company posted revenues of about €25 billion.